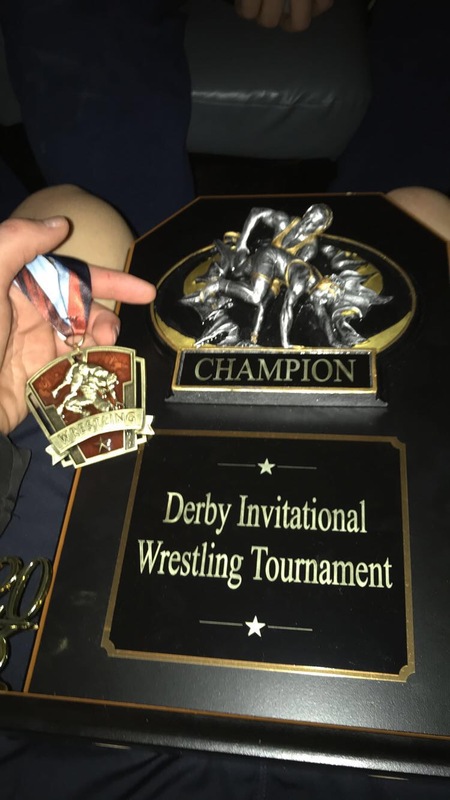 Last Saturday, the 19th, the Morgan Boys Wrestling team, led by coach Marvin Meyer, left the Derby Invitational Wrestling Tournament victorious, having individual champions as well as winning overall as a team. This is the first time that the boys have experienced their team winning the entire tournament, and it was an unforgettable experience. In the tournament, there were twelve teams to beat, and Morgan came out number one, next to the second and third place teams, Guilford and Canton. 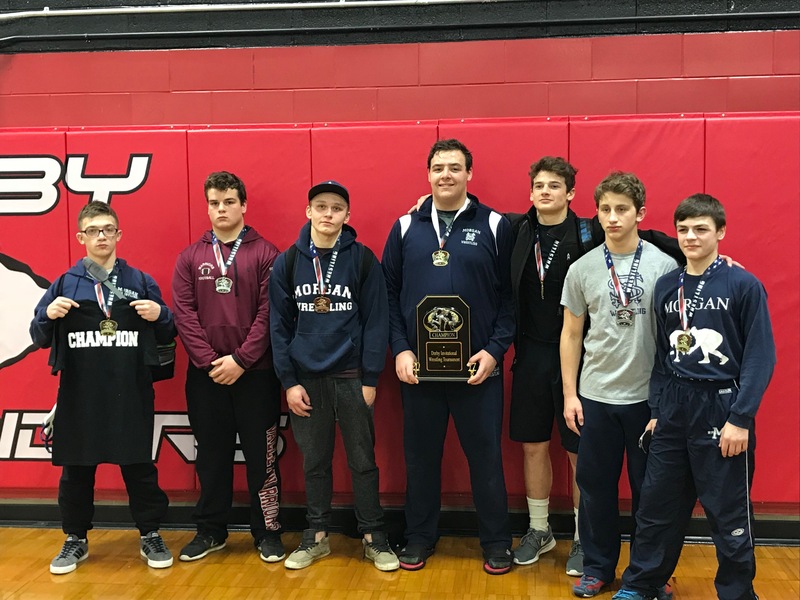 There were also individual champions, who were freshman Louis Bradley, junior Tony Cimino, senior Austin Daley, and senior Isaac Eriksen. The Morgan wrestling team has high hopes for their future, especially if they continue to work hard and wrestle every tournament just like this one. Senior Trevor Follo has “high expectations for this season. I don’t think Class S is out of the realm of possibility. We have some talented wrestlers who can wrestle deep into the competition.” Austin said that their next tournament is this upcoming Saturday, and “it should be fine, it’s not the same style since its team versus team, but I think we can win it if we work to beat the other teams.” Make sure to keep supporting your Morgan wrestlers this season, go Huskies!